Chi-Town stand up! Wukkout!® is coming to your beautiful city for the first time this March! Join me at the Empower! Fusion Fitness Conference in Chicago, where I will be teaching a Master Class on Saturday March 5th at 4pm. Empower! Fusion is a weekend long fitness celebration designed for fitness professionals and fitness enthusiasts alike! The conference will consist of a variety of master classes and certification workshops. You can choose to register for the full weekend or for just a single class! Details and pricing are below. Register soon because early bird pricing ends February 12th! Includes all master classes, workshops and keynote Thursday evening through Sunday. Certifications are not included in the full main conference. They are individually priced. (Certified fitness professionals are eligible to receive CECs for the classes and conference). Don't live in the area but would like to attend the conference? The group rate for the hotel is available until February 2nd. Click here to book your room now! Chicago, I am so excited to be bringing Wukkout!® to you for the first time; please don't hesitate to contact me with any questions. Feel free to spread the word - it is sure to be a fun filled weekend. See you soon and remember to bring your flag! So Long 2015 and Hello 2016! Happy New Year #teamwukkout! I hope 2016 has gotten off to a great start for you all. I wanted to take this time to thank you for all of the support you have shown me and Wukkout!® over this past year; your constant presence in class and at events means so much to me and I am truly grateful. To Filecellia Sampson, Public Relations and Zahra Siddiqui, photographer, thank you for your dedication and talent. To all of the ladies and gentlemen who consistently show up and jump up, there would be no "teamwukkout" without YOU. This past year was an exciting one for us; we launched our online shop, participated in many events and several new partnerships were formed. I'd like to give a special shout out to those who featured Wukkout!® in 2015 - ClassPass Queen, DNA Info and Womeneur - you guys are awesome! To VROU, Emmy's Organics and Nothin' But, thank you for keeping us hydrated and eating healthy during our events. To the studios/gyms who continue to host Wukkout!® classes - the Coney Island YMCA, MAC Brooklyn and Aspire 2 Dance - thank you for your constant support. Let's keep this thing going! We have many exciting things in store for 2016 including a free class series at Athleta Flatiron's new studio and the Wukkout!® Master Class at the Empower! Fusion Fitness Conference in Chicago! The thing I am most excited about though has to be the Wukkout!® Instructor Training and Certification Program. If you'd like to stay in the loop about instructor training or any of these events, be sure to subscribe to the email list and follow Wukkout!® on Instagram and as always, you can find the current class schedule here. Thank you again for all of your continued support - let's make this year even better than the last! Check out the pictures below for a visual recap of 2015. We kicked off 2015 with a free Wukkout!® at Athleta's Flatiron location, sponsored by VROU. After a successful first class, we were invited back to Athleta in the spring. VROU was back to provide hydration and this time Emmy's Organics and Nothin' But were also providing healthy snacks. Manhattan Athletic Club Brooklyn invited Wukkout!® to teach a demo at the Downtown Brooklyn Community Health Expo. The event was held to help promote the benefits of a healthy lifestyle. Wukkout!® was invited to teach for a private family health day event in Long Island. 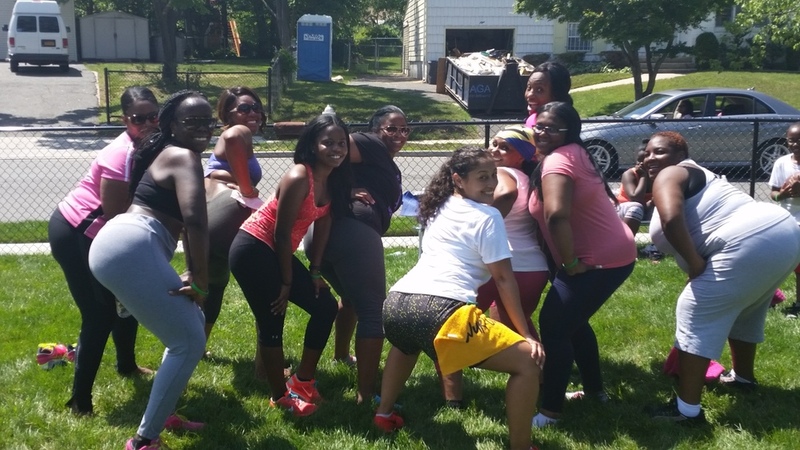 The Coney Island YMCA brought Wukkout!® to the beach this summer! Krista was invited to speak on a health panel at the Queens Library for Teens in Far Rockaway, Queens. 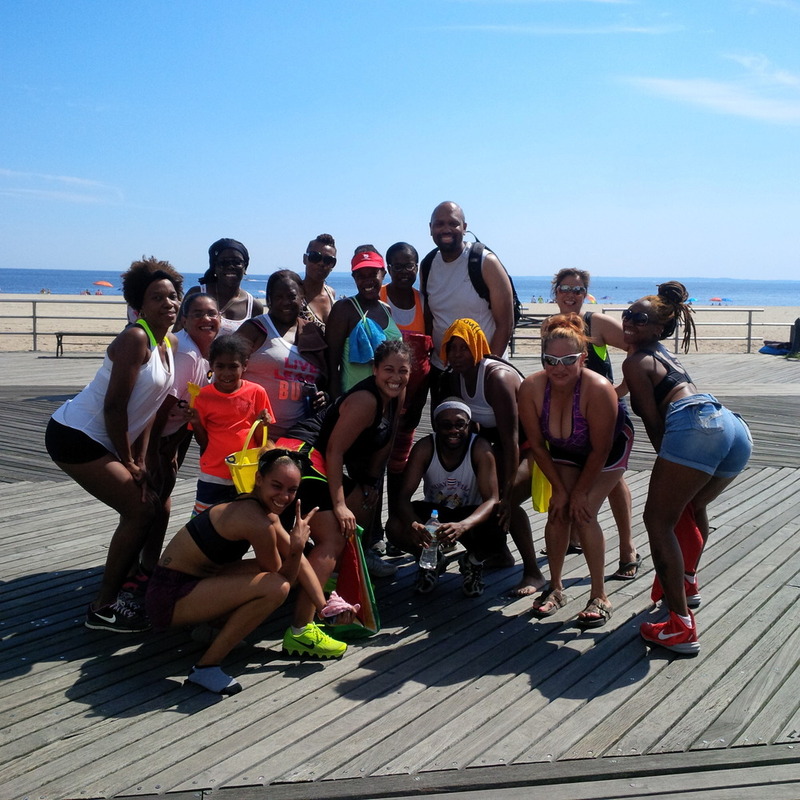 The Coney Island YMCA brought Wukkout!® to the beach for a second time this summer! 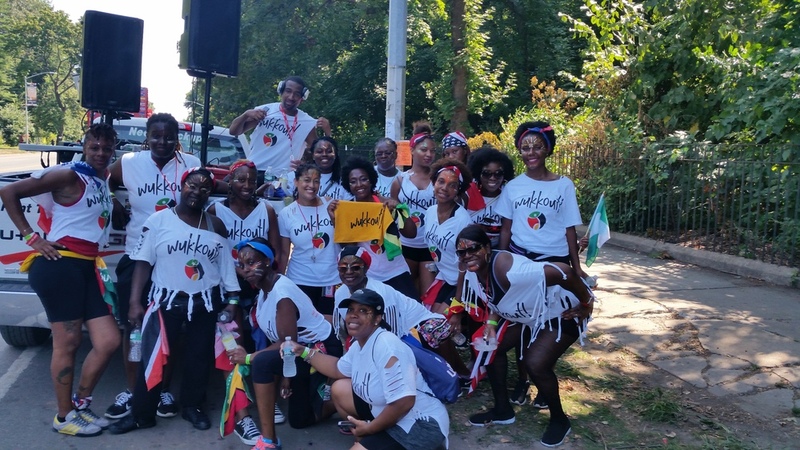 Wukkout!® had a truck in the 2015 West Indian American Day Parade on Eastern Parkway in Brooklyn on Labor Day. We had a great time jumpin' and wavin' on the road! Wukkout!® participated in the 'Carnival by the Sea' last lap event on Coney Island Boardwalk. The event was sponsored by WIADCA and the Haitian Community Coalition. We participated in a special fitness fundraiser for an amazing woman who is currently undergoing treatment for stage 4 Hodgkin's Lymphoma. After the success of the first fundraiser, we did it one more time for Janice in December. She is currently undergoing treatment for stage 4 Hodgkin's Lymphoma. Wukkout!® Master Class at Empower! Fitness Conference in NJ this November. New Jersey stand up! Wukkout!® is coming across the water this November! Join me at the Empower! Fitness Conference in Montvale, where I will be teaching a Master Class on Saturday November 14th at 4pm. Empower! Fitness Montvale is a weekend long fitness celebration designed for fitness professionals and fitness enthusiasts alike! The conference will consist of a variety of master classes and certification workshops. You can choose to register for the full weekend or for just a single class! Details and pricing are below. Register soon because early bird pricing ends November 6th! Includes all master classes. Certifications are not included in the full main conference. They are individually priced. New Jersey I am so excited to be bringing Wukkout!® to you for the first time; please don't hesitate to contact me with any questions. Feel free to spread the word - it is sure to be a fun filled weekend. See you soon and remember to bring your flag!